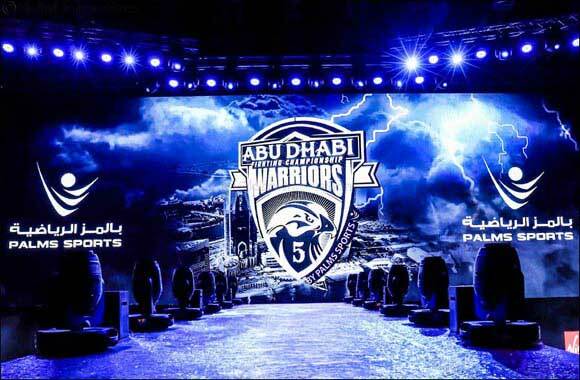 Abu Dhabi, UAE, 27th January, 2019: Britain’s ‘Strongest Man’ and UFC veteran, Oli Thompson and Team Nogueira Dubai’s Roman Wehbe met in the cage at Abu Dhabi Warriors® 5 to determine who is the best 205-pound fighter of the night on Saturday at Mubadala Arena in Abu Dhabi. After two hard rounds, Oli Thompson defeated Roman Wehbe in the main event of the night via TKO. In the co-main event, Britain’s Chi Lewis-Parry (6-0-1, 4 KOs) defeatedIbrahim El Sawi (5-5-0, 4 KOs) of Egypt by TKO in the second round. It was an electric build up to this fight, as both fighter traded words and pushes in the pre-fight press conference, the fight did not disappoint as both fighters went toe-toe from the opening bell. 'It was an excellent fight. I followed all of the instructions from my corner and it was a deserved win,' Al Darmaki said. 'I think in the past I may have not followed the game plans that I worked with my coaches in camp, but today there was no margin for error and I am very happy for this win.